With a small seed sprouter and some seeds you can easily grow a mini garden of tasty and tender sprout shoots to feed your hermit crabs. This could be an easy way to provide some fresh food while you are on vacation. 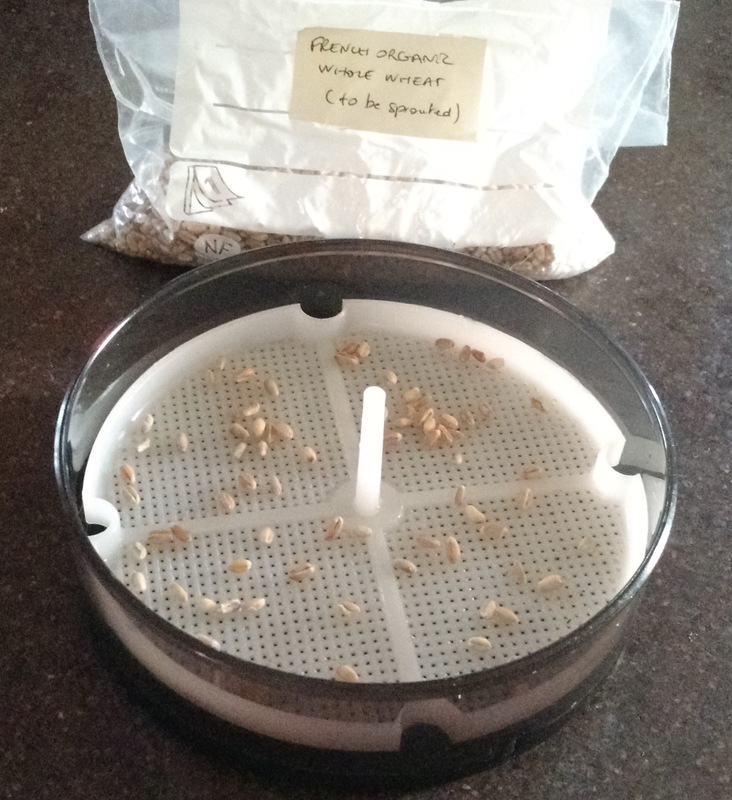 If you use some time of eco earth substrate you may be able to get some seeds to sprout directly in the tank, assuming the crabbies don’t eat the seeds before the get going. Sprinkle the seeds on the surface of the substrate and mist them with dechlorinated water each day until they begin to sprout. The crabs will likely start munching on them at this point. If you prefer to sprout the seeds outside the tank and feed when they get some real growth going, read on! 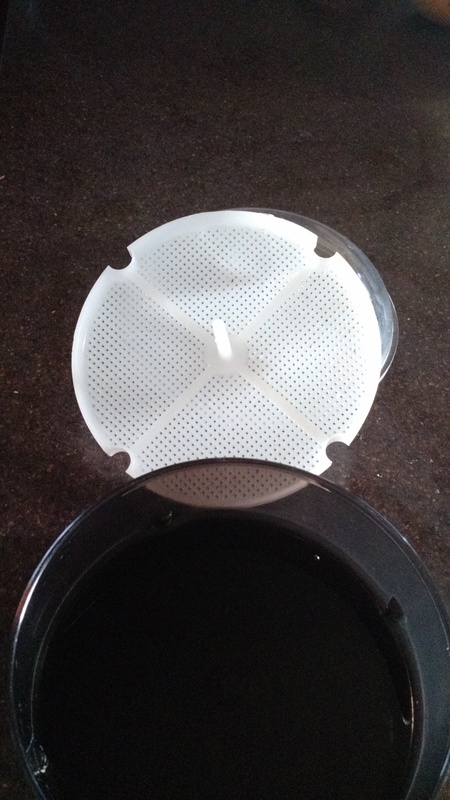 This is my KEIMLI Mini Germinator Sprouter from bioSnacky. I don’t know that this one is available through US retailers anymore. Other items from bioSnacky A Vogel are available through Amazon (see the widget below). This is the screen insert that holds the seeds. Place it in the base, resting on top of the nubbins. Now sprinkle your seeds on the screen. Placement doesn’t matter right now. You can sprout multiple things at the same time. I just happen to have wheat right now. Now you want to turn the screen slightly so the nubbins line up with openings on the edge of the screen and dip it down into the water to moisten the seeds. The seeds will float all over. Lift the screen out of the water and place it back on the nubbins so it is NOT resting in the water. 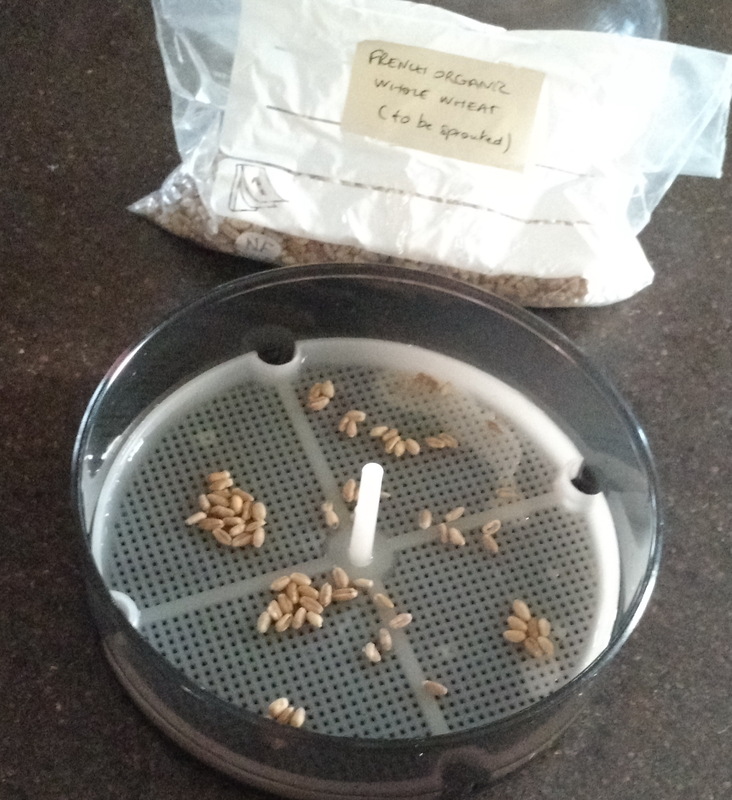 Use your finger to space out the seeds so they aren’t crowded. 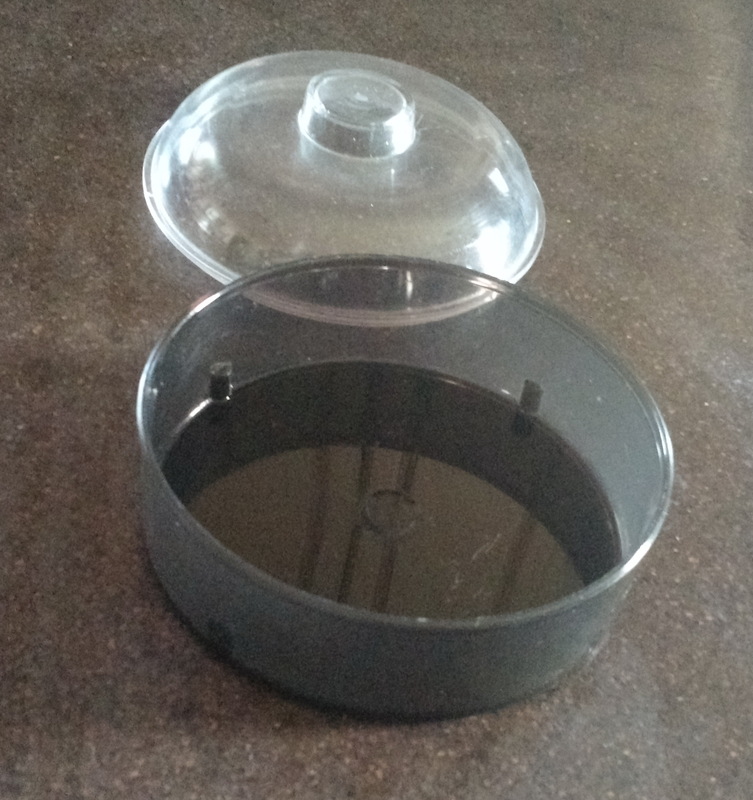 Now place the lid on the base and find a warm, sunny spot to place the sprouter. Each day change the water and dip the seeds as you did above. 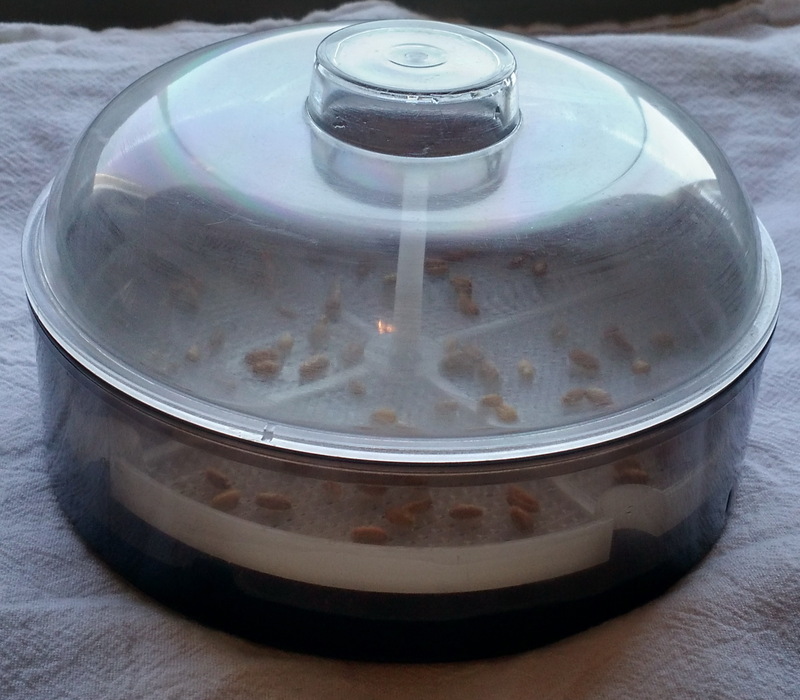 As soon as the seeds begin to sprout remove the lid and leave it off. If you see any signs of mildew growing, do not feed the sprouts to your hermit crabs.